It's been a good week for back-pats. One of my (and many others) favorite art blogs, Lines and Colors, has written a blush-worthy post on Tor.com's Saturday Morning Cartoons. 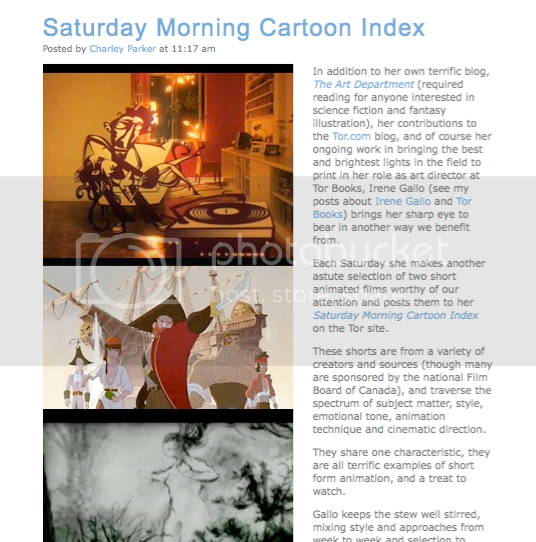 "These shorts are from a variety of creators and sources (though many are sponsored by the national Film Board of Canada), and traverse the spectrum of subject matter, style, emotional tone, animation technique and cinematic direction. They share one characteristic, they are all terrific examples of short form animation, and a treat to watch." Although my involvement in Tor.com runs pretty deep and is always rewarding, the Saturday Morning Cartoons are a little extra special to me. It's my own quiet corner of site and has allowed me to indulge in a love of something that is completely unrelated to work. (Something I should do more of.) I am extra proud that Lines and Colors has highlighted it. And a call for help/inspiration. If you have any animation suggestions, please mention them here. I've discovered a lot of great movies from you guys. 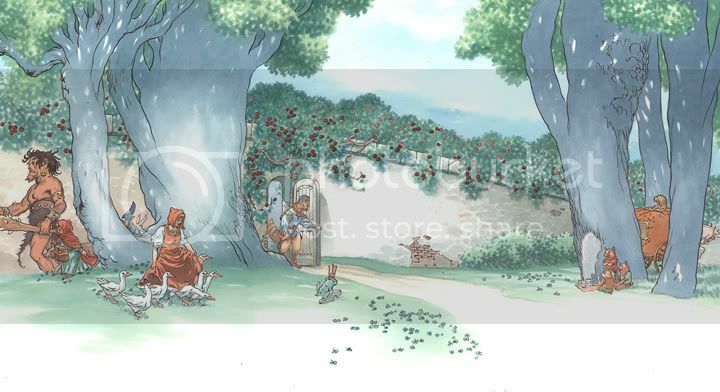 Vague memories from a History of Animation class with John Canemaker. Woohoo! This made my week. Google's Power Reader asked tech&web gurus to name their must-read sites. Annalee Newitz, of io9 and the coolest geek of all, has named The Art Department and Tor.com. I am all smiles...and suddenly thinking I need to write something insightful. Shoot. 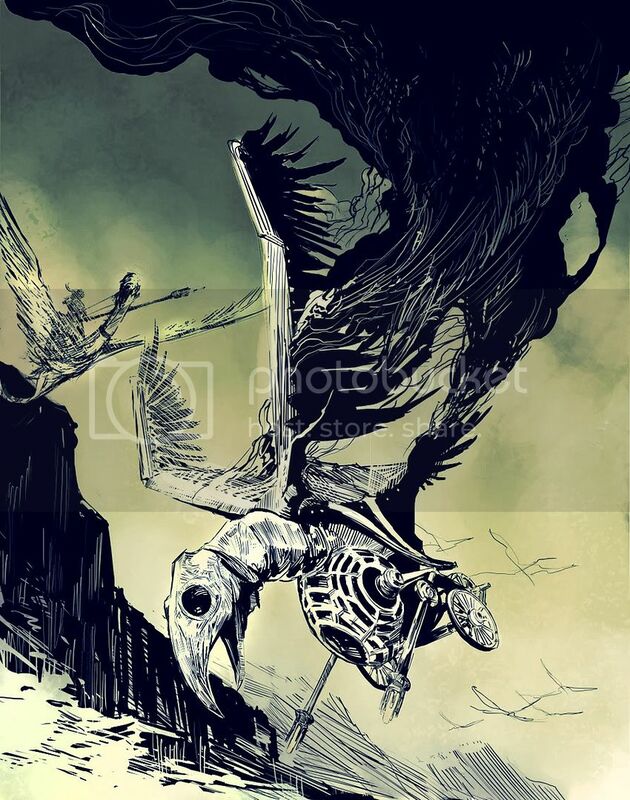 Sam Weber just sent me a link to this young comic book artist and illustrator: Cassandra Diaz. 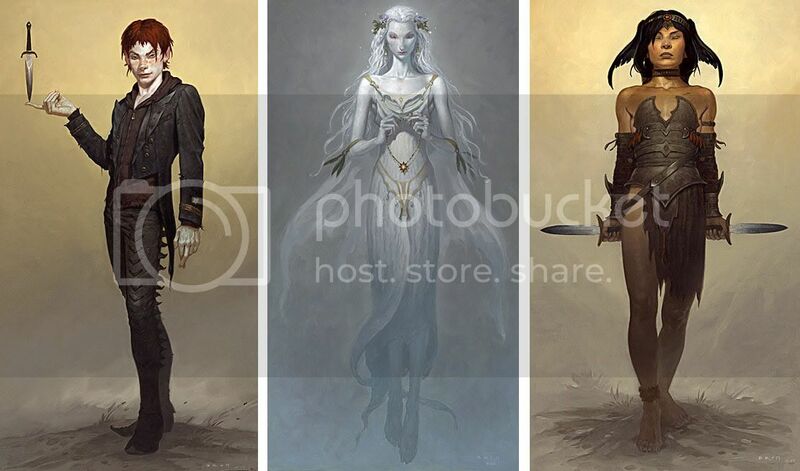 My latest art-crush, these are so ethereal and beautiful. 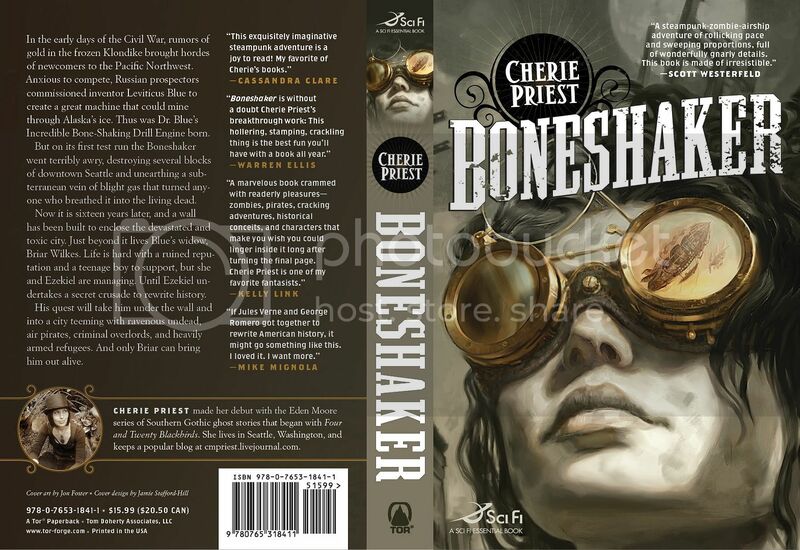 Cherie Priest's Boneshaker comes out at the end of September and it's getting a lot of buzz. I always double-like when one of my favorite covers accompanies a book that all the cool kids are raving about. 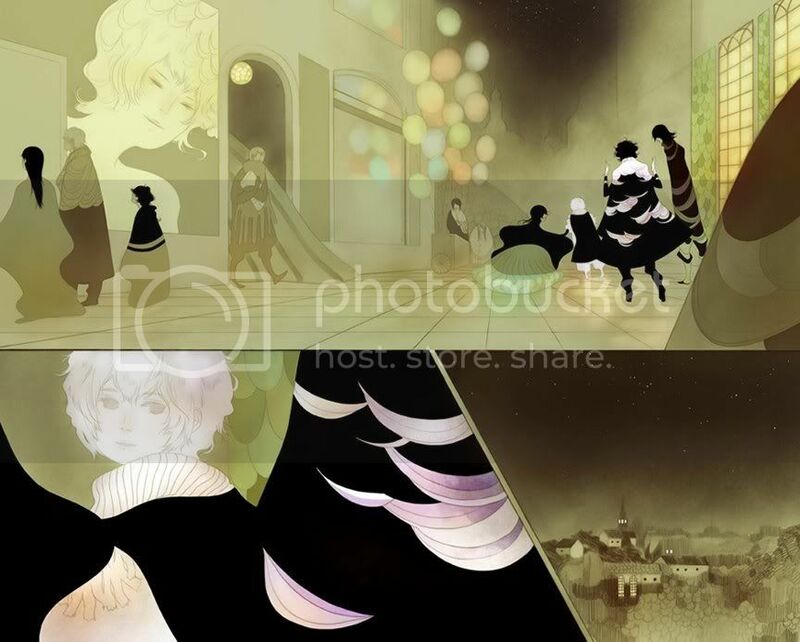 And check out Cherie Priest's website for series, The Clockwork Century. The first sketch was a real contender. It had action and might have more commercial appeal than the others. The second sketch looked a little too young-adult so that was ruled out fairly quickly. (Although it would make for a great YA cover.) The third one seemed slightly riskier than the others but also felt like, if all the pieces fell into place, it would be demand attention on the shelves. I'm very glad it's the direction we took. I have to admit, it does seem as though some authors have good cover karma. (Which unfortunately also means the reverse can be true.) I equally love the John Jude Palencar arted, Peter Lutjen designed, covers on Cherie Priest's "Eden More" books. Too much traveling has let me fall behind on these animation notices. Saturday Morning Cartoons have, however, been continuing on. I'll post daily updates until I catch up. Accro: I love the drawing in this. These guys tirelessly keep trying, but they never quite get there. A Sketchy Past, the Art of Peter de Seve -- "I've come to think of A Sketchy Past, only half jokingly, as the "End of Part One" of my artistic life. Fifty years is a long time for one chapter, but perhaps, if I can put all of this work behind me, I'll be more open to bigger and more challenging artistic opportunities in the next fifty years. On the other hand, I might just curl up in a ball with a bottle in my fist and pore over the book every night, wondering whether I'll ever be able to draw again." 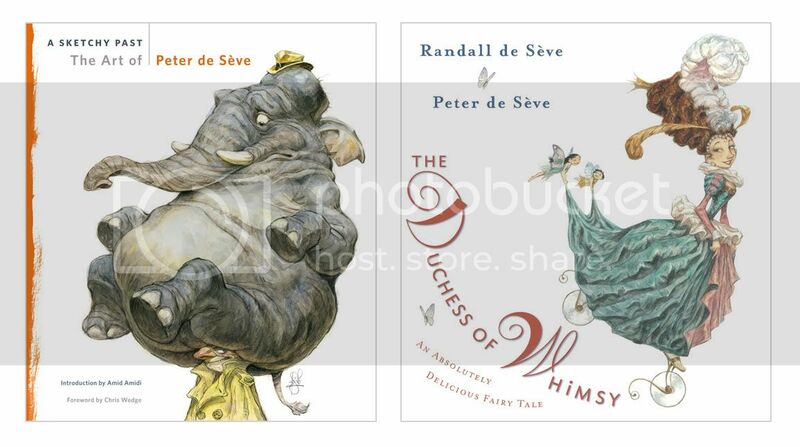 And a children's book collaboration between Peter and his writer wife Randall, The Duchess of Whimsy -- "a quirky love story about the Earl of Norm, a very plain and simple man who adores the Duchess of Whimsy, a beautiful and eccentric royal who has no patience for the ordinary." World Con. Artistic spheres of influence. 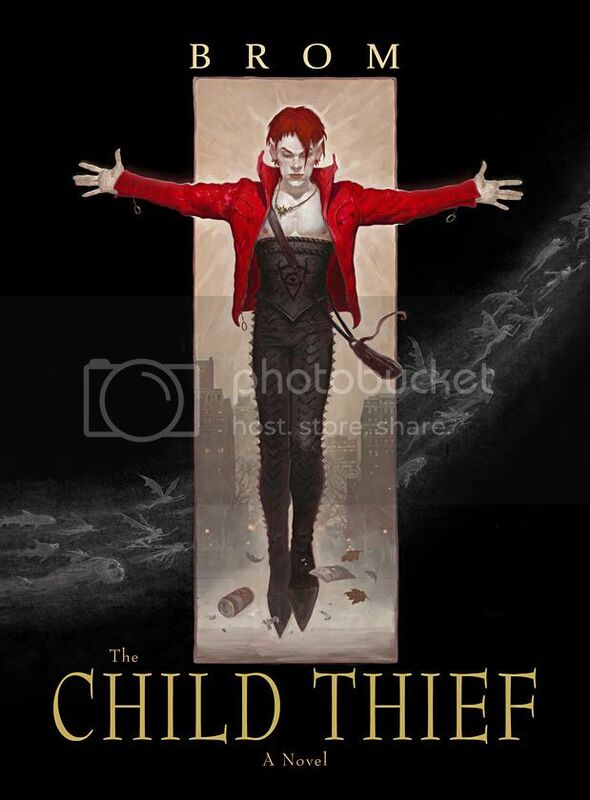 And the future of book covers. 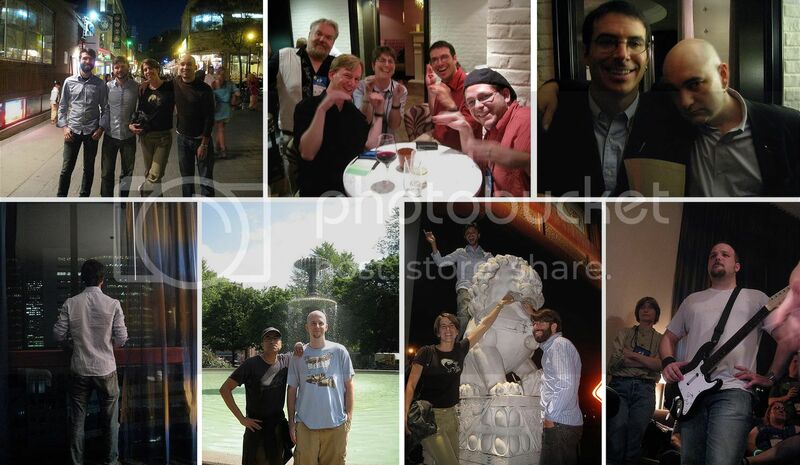 World Con came and went in a near-sleepless blur, but a fun blur to be sure. Eventually I got into the convention center, with a little help from Doselle Young, in time to watch the "History of Tor" panel with Tom Doherty, Beth Meacham, Patrick Neilsen Hayden, and David Hartwell. In that group I am a newbie, which is funny since I've been at Tor nearly half its lifetime. (Says a lot about Tom that so many have stayed for decades.) Tom spoke a bit about his life in books pre -Tor (including selling the Lord of the Rings) and the founding of Tor. Our editorial gang talked about life in the start-up days when the office was six people in a room. Conversation turned to the current daily life at Tor -- dealing with slush piles, marketing, etc. There are some video clips here. Whenever I’m asked about the best part of my job I always say it’s the people I work with, both in and outside of the office, because that is the truth. "Vanguard Artists" panel: This came from his debate with Adam Roberts on whether SF art is overly conservative. 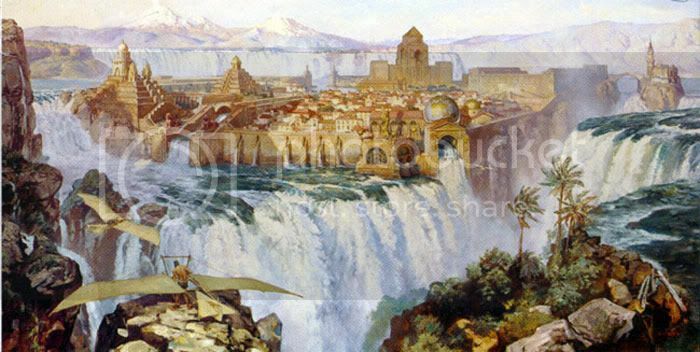 John came prepared with a number of slides from artists (both young and not-so) that create works outside of the pre-raphaelite traditional so popular in fantasy illustration. Rest assured, there is an astonishing amount of exciting and vibrant work out there. 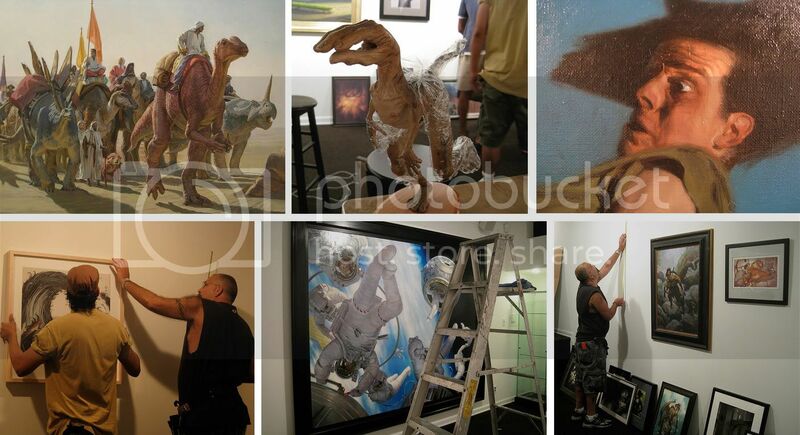 Even without having seen what John brought before it was being shown on the panel, we could not have planed it better. Each artist was someone that either Dan Dos Santos, John, or I had some direct experience with and we had a blast talking about them. I hope the audience did as well. Whether or not these artists will ever be recognized by Hugo voters is not really much of a concern to me. A good book cover can be on the edge of the curve of what is commercially effective but its first purpose is to connect to readers and sell a book. That said, my main point of the hour was that I believe the spheres of influences are reducing radically. There is more stylistic variety on the bookshelves now than ever before. When Michael Whelan came along publishers spent the next 15-20 years wanting their books to look like Whelan. Then Donato came along and publishers spent 10 years trying to echo Donato. 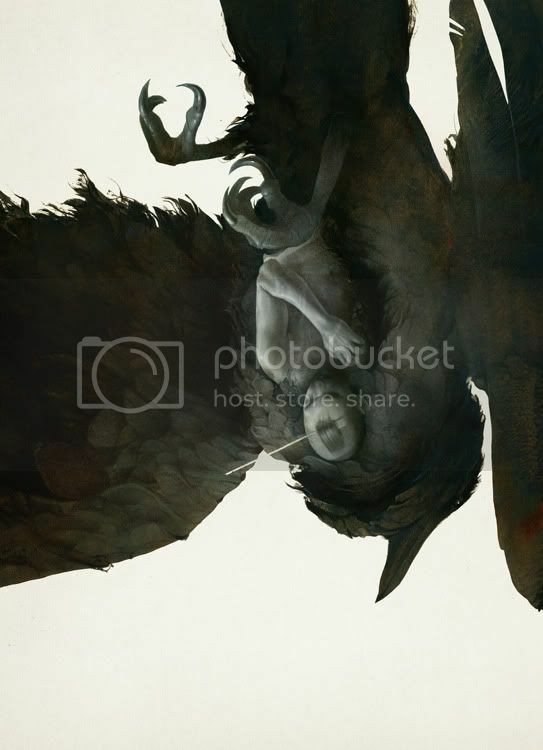 In there you have the Hale/Berry influence leading into Jon Foster and others. Stephan Martiniere's covers laid down a precedence for concept art style illustration. James Jean rapidly became an influence on the industry and I’m already seeing Sam Weber infused work. With the expansion of SF into the mainstream plus the access to so many artists from various fields throughout the world, the time any one style can completely dominate is collapsing much quicker than it ever did. The other panel John organized was “Where is the book cover going in an eBook future.” Between Pablo Defendini, Lou Anders, Karen Haber, John, and I we all agreed there will be book covers as we currently know them for a while yet. Still, we are very aware of increasing print sales through internet stores and the rise of eBooks. These books will always require marketing images, although the formatting may contribute to stylistic changes. The demise of illustration to sell music when the CD market hit, and shrunk, record covers was brought up. 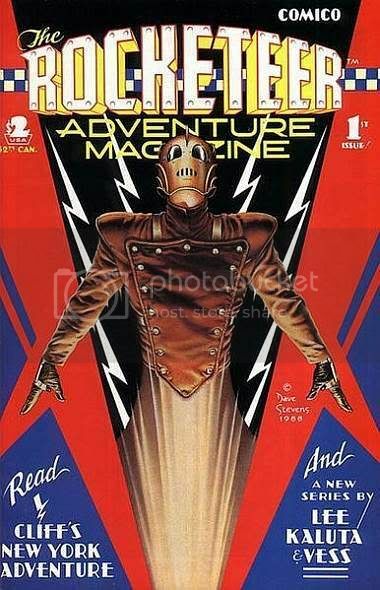 I agree the formatting played a integral role but looking at the mainstream aesthetic in books covers throughout that same time period also shows a dramatic movement from illustration to photography. 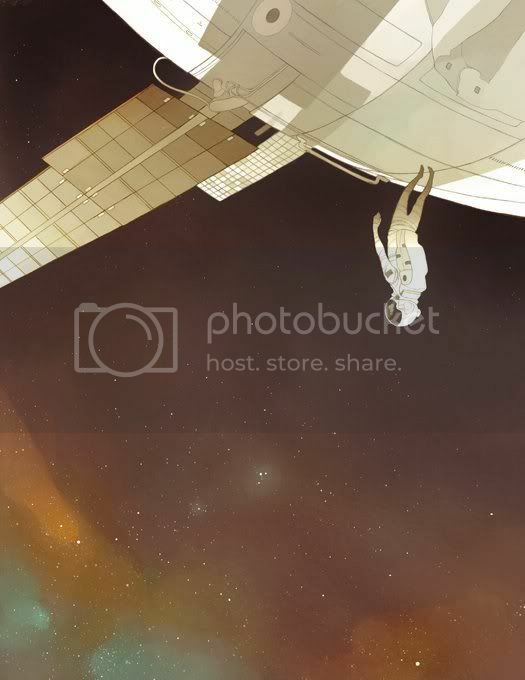 I think sf/f is becoming more encompassing of various styles, including photographic, but it is part of an aesthetic growth not just prevalence of viewing books online. 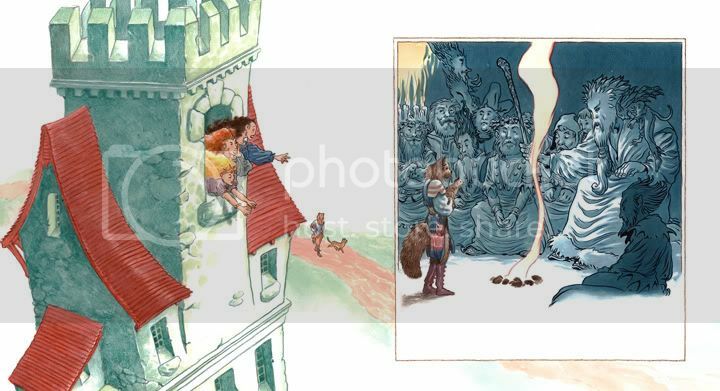 It is exciting to think about how "value added" eBooks can expand the visual material offered in a book -- background sketches, character designs, etc. But I wonder to what degree publishers will be willing, or able, to pay for this material. 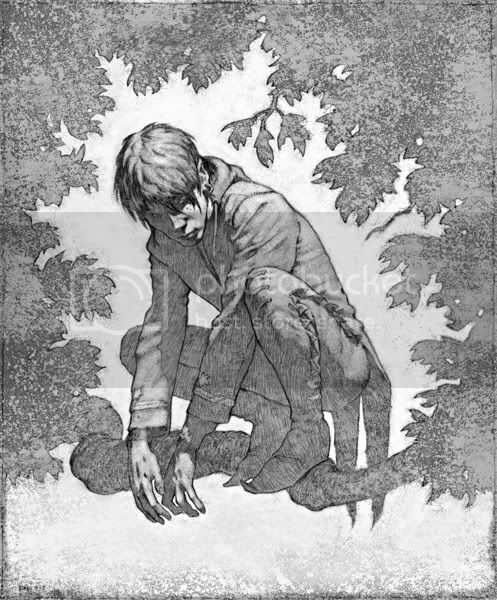 I'm often asked why there isn't more interior art in books outside of the young adult market. It's something we can do occasionally, but generally speaking it's expensive without having a clear sales benefit in the adult market. On the other hand our own online magazine, Tor.com, has lead to many more commissions from Tor than in the past. And if "DVD-extras" style eBooks come into vogue and create a richer environments for readers, then perhaps there will be some exciting projects for artists in the future. I have not confirmed this but it is rumoured that Donato wants to bow out of consideration from now on. I applaud his desire to see the Hugo awarded to others but I hope that he does not do so in this fashion. 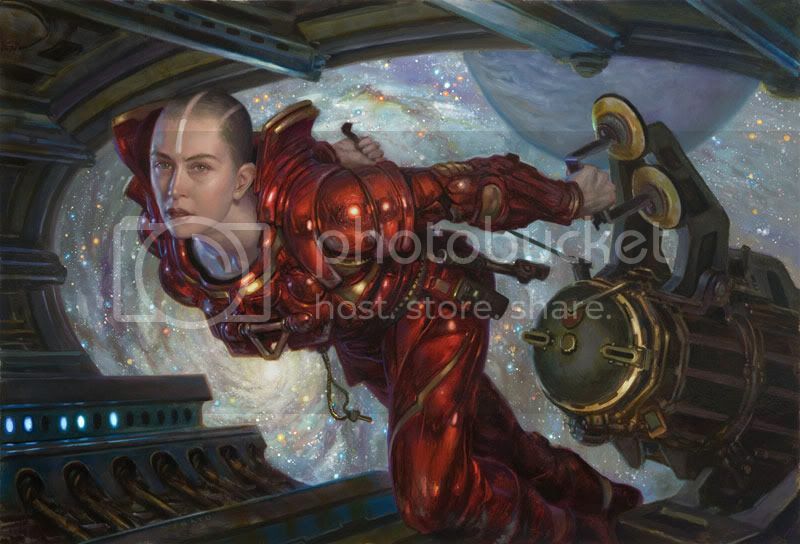 While ultimately the Hugo award has a much greater impact on an author's career than an artist's, it does serve as a spotlight for the rest of the field to recognize its artists. I want that spotlight to shine on as strong a field as possible. Currently that includes Donato. 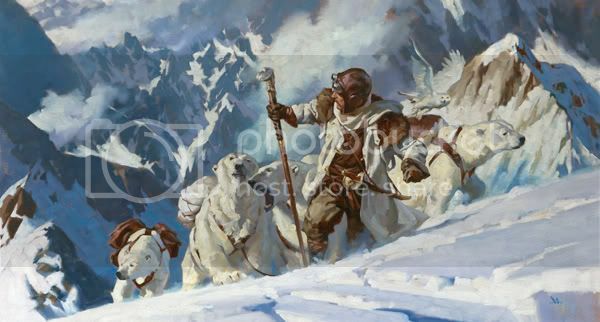 In fact, I, for one, was very happy to be beat by Lou Anders this year at the Chesley awards. The work being done by Lou at Pyr, Jeremy Lassen at Night Shade, the folks at Orbit is fantastic. We all push each other to do better and any reminder not be complacent is welcome. So, congrats to Lou! (My only regret is he got one of the new shiny light-up Chesleys. Curses!) A full list of Chesley winners and links on SF Signal. Lots of hanging out and talking. Tor threw a crazy crowded party. 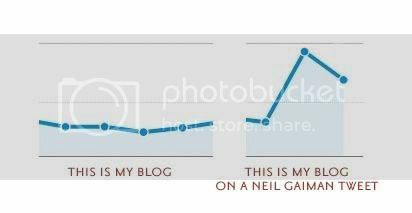 Guests included Neil Gaiman and Nobel prize laureate Paul Krugman. Can it get cooler than that? Seriously. Rock Band obssesives banded and rocked at the Tor.com party the following day. I had a great meeting with Brandon Sanderson about some upcoming projects. There was the odd realization that I see some NY friends more when we are hundreds, if not thousands, of miles away from New York. And promises to rectify that. Chinatown with the artboys, Dan Dos Santos, Dave Palumbo, and Marc Sheff. The new Hugo logo was unveiled at he Hugo ceremony. Neil Gaiman, Geri Sullivan, Chip Kidd and I were asked to jury a contest to pick the logo. There were nearly 400 entries. Choosing was tough but I believe we arrived at something that is simple and elegant, something that will clearly mark a book as a Hugo winner without blending into, or distracting from, the the cover itself. I hope the committee decides to showcase some of the runner-ups, there were a number of fine designs on the shortlist. Congrats to Jeremy Kratz. Nirvana was played on an accordion. Marc Sheff climbed a Foo dog statue. Rob Bland nearly climbed a large wire hand. After discovering all of Night Shade's inventory was lost for the weekend, Jeremy Lassen climbed on his table top and try to sell himself. Eventually Night Shade’s books were found and sold out. 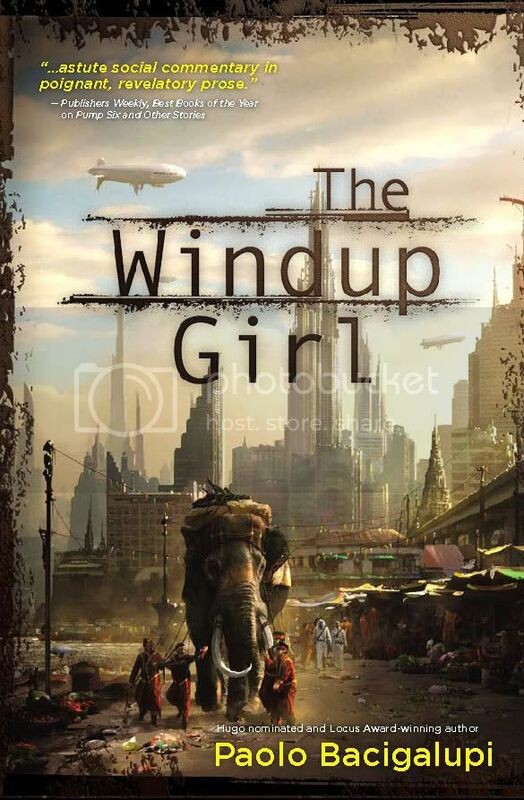 There was a tremendous amount of buzz for Paolo Bacigalupi’s The Windup Girl . All in all, a typical World Con. Between this and Comic Con, it's time to remind myself what eight hours of sleep feels like. And its time for me to get back to work. For reals. It's been too long since the last Art Out Loud painting demo, making us doubly excited to announce Art Out Loud 6. 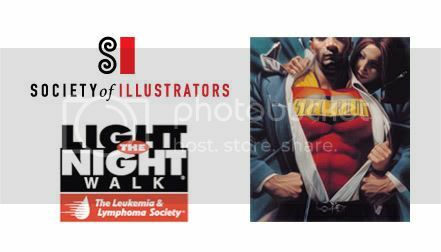 Five artists will be painting and answering questions simultaneously within the Society of Illustrators' Hall of Fame gallery. If you get there early, the Spectrum exhibit will be on display in the main gallery from noon - 4:00. The line up is awesome with a great array of painting styles. These guys are not just the top artists in the field but they are also incredibly giving and eager to share what they have earned over the years. Stop by and bug them with all the questions you can think of. Warning: Space is very limited and tickets are cheap. Buy tickets in advance, all previous Art Out Louds have sold out. Sometime you just have to love opening email. 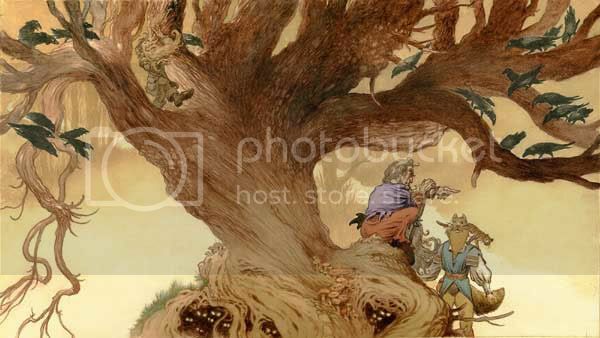 This morning I got a note from Charles Vess showing off a few new paintings for his next children's book, Neil Gaiman's Instructions. He's also posted some sketches and final paintings on his blog, Greenmanpress.com. Like their previous collaboration, Blueberry Girl , Instructions based on one of a Neil's poems -- this one about how to survive a fairytale...which isn't surprisingly different than how to survive life. Charles gave me a sneak peak at the project about a month ago and I've been excited to see it develope. I know he's working like a bandit to get it done on a rush deadline but you'd never know it from the quality of the artwork. These are simply amazing. 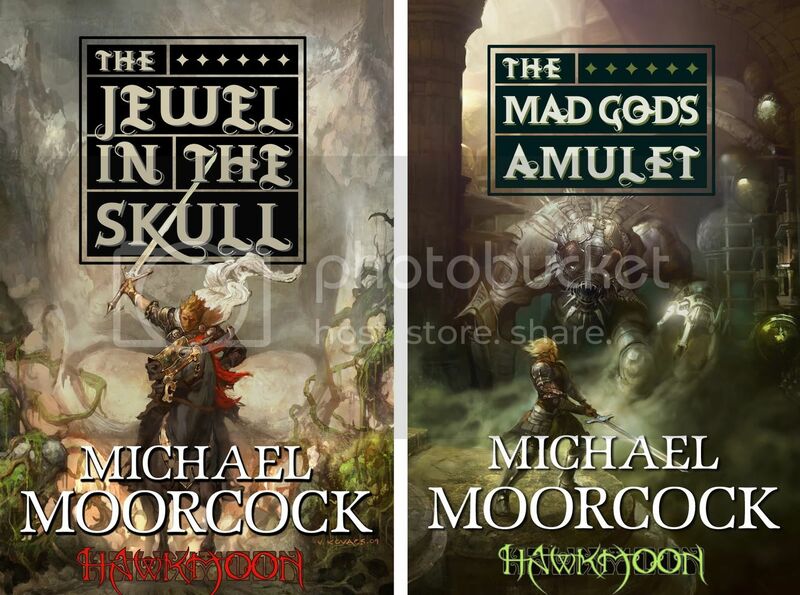 Vance Kovacs is doing the covers plus interiors drawings for Tor's upcoming editions of Michael Moorcock's Hawkmoon series. Here are the covers for the first two plus an interior. Although the printed book will be in black and white, eBook editions will eventually (soon) b ein color so, we opted for limited color on these. Vance has been a great guy to work with -- very excited about the project. I can't wait to see what he does with the second half of the series. Yay! We are big fans of Kurt and Zelda. Their first comic for Tor.com, The Dreaded Question, was a huge success. Today begins an ongoing weekly strip that is "is part Antoine de Saint-Exupéry, part Windsor McCay, and part, um... gerbils." 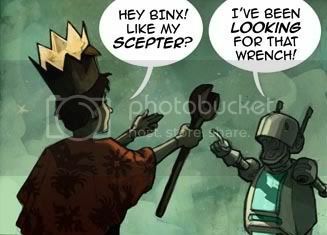 Check back every Thursday for a new installment of King of an Endless Sky. I'll wrote more about this soon but for those in the area that want to go, tickets are sure to go fast. 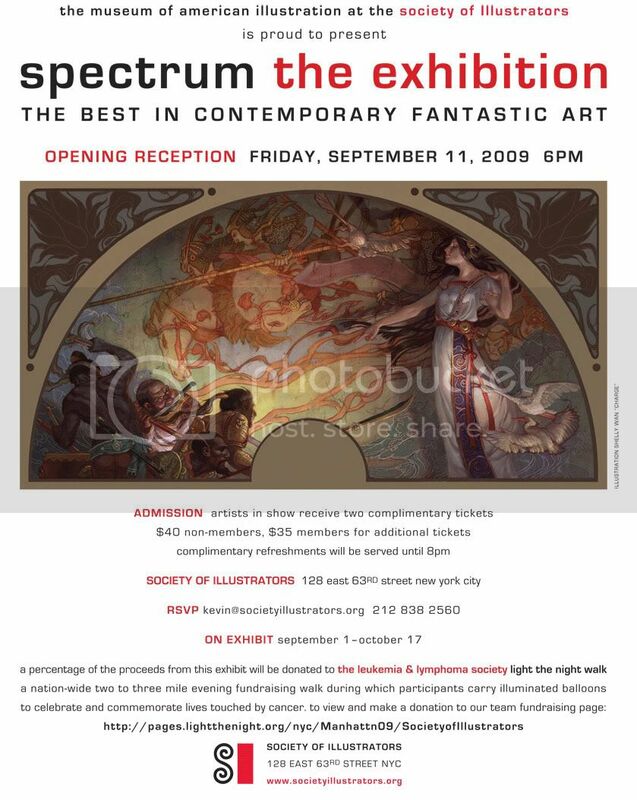 Go to the Society of Illustrators site for tickets and details. 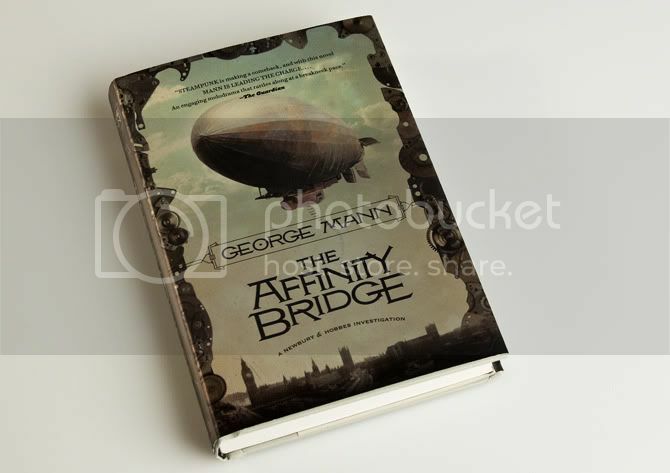 Design blog Faceout Books has posted a feature on George Mann's Steampunk novel The Affinity Bridge . 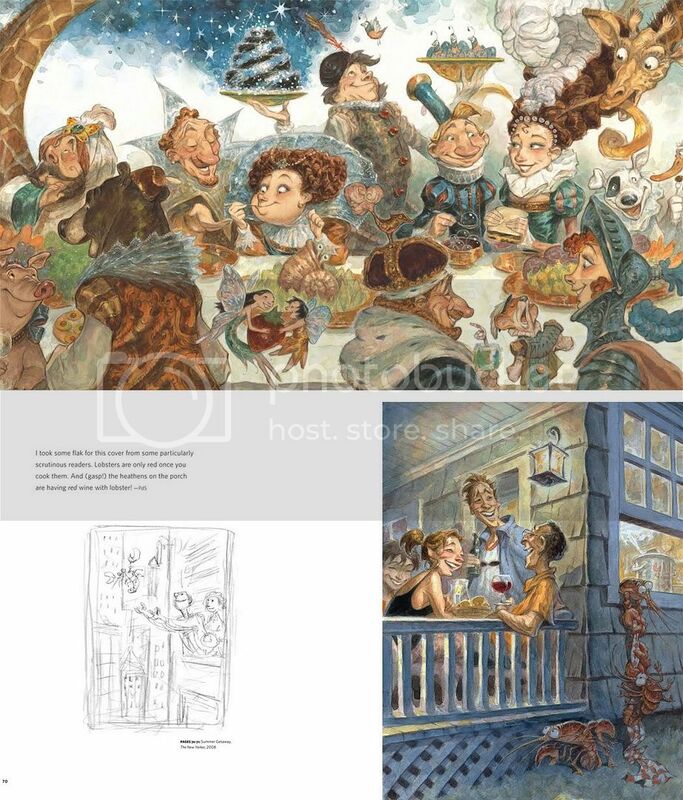 Along with statements from designer Jamie Stafford-Hill, illustrator Viktor Koen, and me, they show sketches, period type samples, and photos of the jacket that are surprisingly effective at showing the effect of the metallic paper stock. We are hard at work on Affinity's sequel, The Osiris Ritual. I'll show that off as soon as we can. 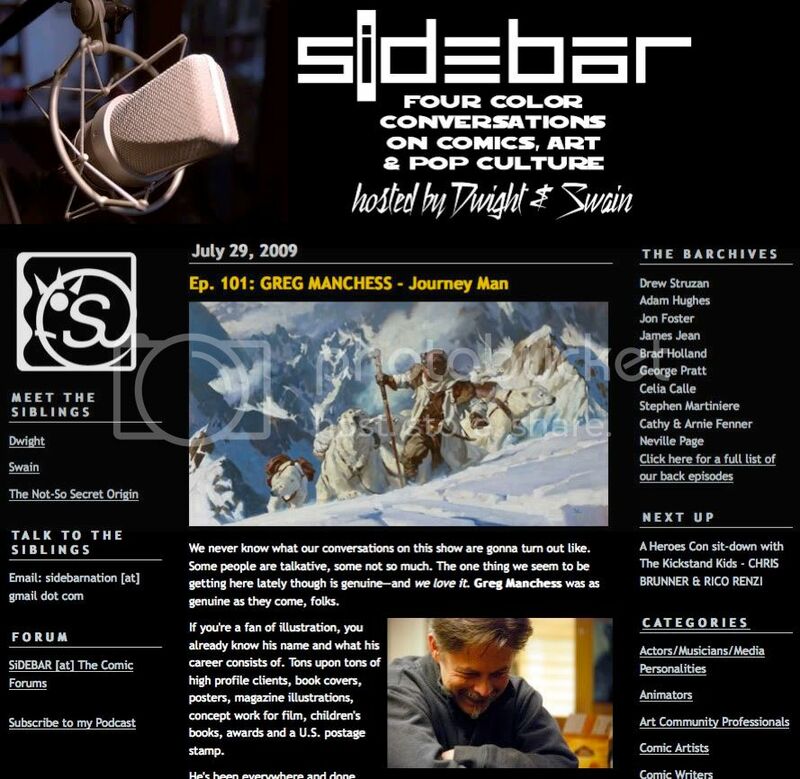 Greg Manchess was interviewed on Sidebar. Check out the podcast here. And he's threatening to draw more. Go tell him how cute these are and make him do so.